Hopefully you didn’t grab the Sony Tablet S during the holiday rush, because Sony has just cut the slate’s price by $100. Beginning today, the 16GB Tablet S model starts at $399, undercutting the Apple iPad 2 by a significant amount. The 32GB model now starts at $499. Sony is additionally offering five free PlayStation Classic titles, six months of its ‘Music Unlimited’ service, as well as multiple free downloads from the ‘Video Unlimited’ store. The price cut may be too little too late for the Sony tablet, especially when the reduction appears to have been positioned after the holiday season. While the Tablet S offers a top notch design, reviewers have called the slate “average” and “unspectacular.” In just a few months, the Tablet S will have to contend with the next iPad and Android tablets running Ice Cream Sandwich. The 9.4 inch Tablet S is Sony’s direct iPad competitor, which features a slightly curved design that supposedly makes it easier to hold with one hand. 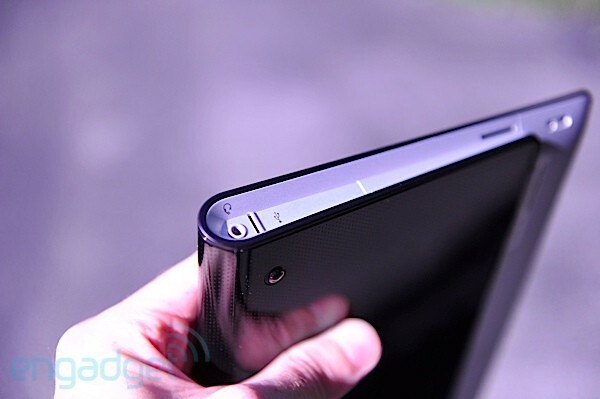 The Tablet S is powered by a dual core Tegra 2 chip.